TORONTO, ON – The South Bayview Bulldog reports that a second location of Amsterdam BrewHouse will be opening in Toronto’s Leaside Village neighbourhood later this year. 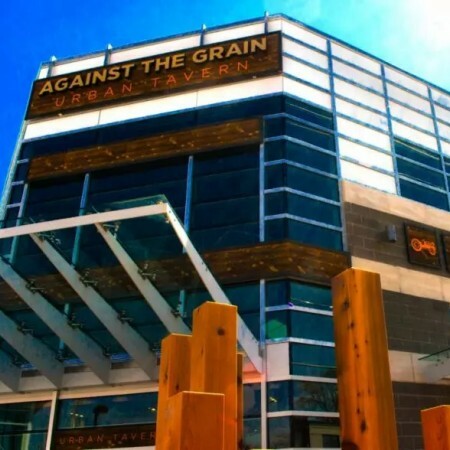 Taking over the space at 87 Laird Drive from gastropub Against The Grain (pictured) which is closing on April 28th, the new BrewHouse is located around the corner from the main Amsterdam Brewery at 45 Esandar Drive. It hasn’t been confirmed if the new Amsterdam BrewHouse will include a brewing operation, as is the case at the original location on Queens Quay, or if it just serve beer brewed at the main facility.